is produced from Warre’s finest estate properties in Portugal’s Douro Valley and has aromas of luscious red fruits and robust, rich fruity flavours with alluring, youthful vigour. This wine was aged for an average of three years in seasoned oak barrels before being blended, filtered and bottled ready to drink. Food pairing suggestion: Try this Port with cheese, rich chocolate desserts or dark chocolate. 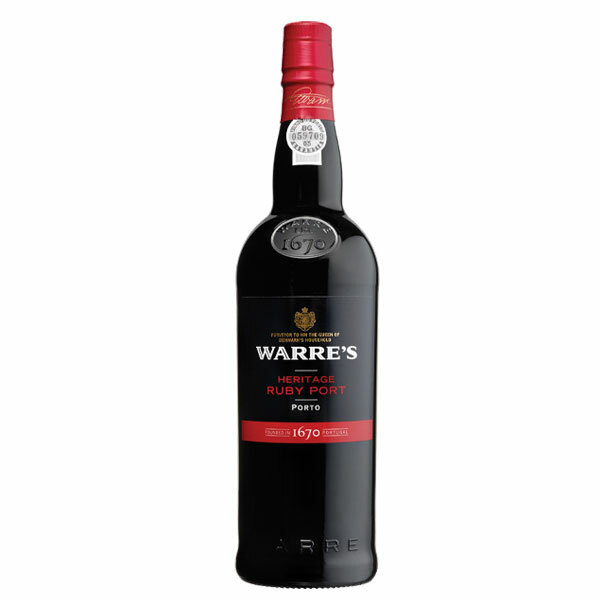 THE WARRES are one of the great Port families. On arriving in Portugal in 1729 William Warre (1706 – 1773) was to start a family Port dynasty that would make a unique and unmatched contribution to Port and to the life of its adopted city and country. In 1745, he married Elizabeth Whitehead, sister of John Whitehead, the distinguished British Consul responsible for designing and building the magnificent British Factory House (1790). Their eldest son, also William, would himself serve as His Majesty’s Consul. The 5th sibling, James Warre, became a prominent figure in the Port trade for over 50 years and would father the most illustrious member of the family, another William Warre (1784 – 1853). Produced exclusively in the Douro Valley of Northern Portugal, Port wine with its unique characteristics has become a favorite the world over. There are scores of different grape varieties used in the production of port. This wine is more about the production methods used and the fortification with spirit than the nuances that the fruit has to offer. Port is fortified. This means that there is an introduction of some type of distilled spirit to the wine during production. These wines can achieve an ABV of 20% or more.